This March will mark ten years since President Obama gave his first major speech about education. In this speech, President Obama referenced the North Star goal for his education policy: that by the year 2020 the United States would once again lead the world in terms of the proportion of young people with a college degree, whether it be a two-year degree, a four-year degree, certificate, or industry-recognized credential. A generation ago the United States led the world in college completion. In 2009, the United States ranked 11th among industrialized nations. Today, the US ranks 13th. While the North Star goal was always on the horizon, it wasn’t my main focus when I began my service in the Obama Administration. For five and a half years, I worked as a political appointee at the US Department of Education (ED). I started as Secretary of Education Arne Duncan’s special assistant and worked my way up to Deputy Chief of Staff. The early years at ED were all about implementing key programs that President Obama passed through the Recovery Act to rescue and jumpstart the economy for long term success. We had a lot of work to do, programs to build, and over $100 billion to get out the door to states and school districts in need. In the wake of President Obama’s re-election, the First Lady, Michelle Obama, was exploring adding a programmatic initiative to complement her already impressive portfolio of work, including ending childhood obesity (“Let’s Move”) and her partnership with Dr. Jill Biden to support military connected families (“Joining Forces”). In late November of 2012, First Lady Obama’s chief of staff called the Secretary’s Office to invite us to a meeting in the East Wing, where we were asked to help brainstorm and, ultimately, help pitch ideas for a new education initiative. Leaving the White House after that first East Wing meeting, I remember hopping into the black SUV with Arne and our Chief of Staff, and turning to see the Washington Monument on our way back to ED—I had the feeling of having won the Golden Ticket from Willy Wonka and the Chocolate Factory. First Lady Michelle Obama, one of the most popular political figures in the country, wanted to talk about our issue. After a few months of memos, calls, and pitches, Reach Higher was born and my time at ED was over. I’d been asked to come to the East Wing at the White House and lead this new initiative. It became clear that the First Lady was set on the 2020 goal and wanted to encourage young people to continue their education past high school. As a first-generation college graduate herself, the issue resonated loudly and clearly for her. 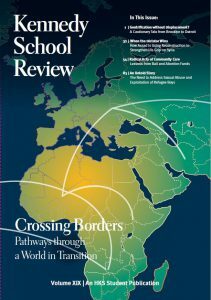 And while the policy goal of leading the world was our stated North Star goal, it was clear that First Lady Obama was excited about what this campaign, and her voice specifically, could do to celebrate education, change culture, build a college-going movement, and reach students where they were. So, in May of 2014, Mrs. Obama officially launched Reach Higher. The goals of Reach Higher were clear. We would use First Lady Obama’s voice and convening authority to build a college-going culture to help the US lead the world again and hit the 2020 goal. This meant focusing on college and career exposure for students; helping students navigate financial aid and college affordability; helping students be academically prepared on Day One of high school by taking rigorous college-prep classes; and supporting and elevating the school counseling profession, which is focused on helping students make the successful jump to post-secondary education. In the East Wing, we began to describe First Lady Obama as the “school counselor in chief” for the entire country. If I had any apprehensions about the power of this strategy, they were quickly put to rest. At our College Opportunity Summit in 2014, we had more than 500 commitments from college presidents, philanthropic leaders, and nonprofit executives to ensure that one million more students would complete college over the next decade. Tens of millions of dollars were allocated by philanthropy towards these efforts. And the only incentive we had was an invitation to stand up next to President Obama and the First Lady. All we had to do was ask. It was an important lesson: so many people will follow you if you just light the torch, show them the way, and give the permission structure to say yes and join your cause. And there might not have been a better torch bearer than First Lady Obama. The College Opportunity Summit was just the beginning for Reach Higher. At the White House, First Lady Obama began hosting and organizing College Signing Days around the country to build a movement around celebrating college success for students making the commitment to go to college. The First Lady started bringing in cohorts of rising first-generation college students every summer for our Beating the Odds Summit. 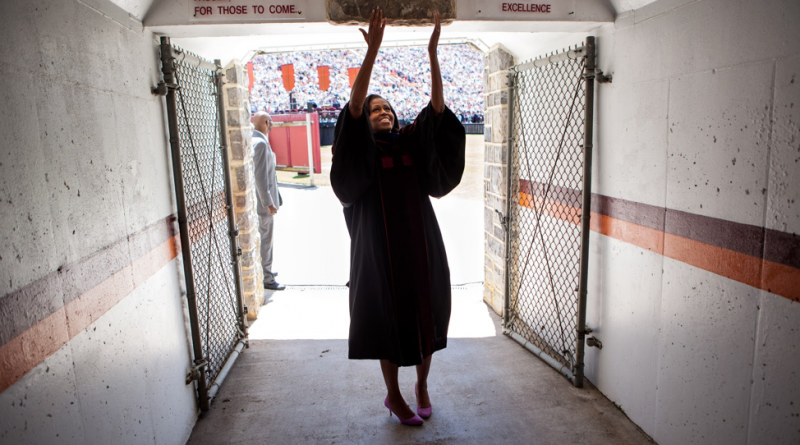 She used the imprimatur of the White House not only to celebrate athletic champions or Kennedy Center awardees but also to lift up students who had overcome substantial obstacles to make it through high school and get to college. In October of 2015, Reach Higher launched a Generation Z focused digital campaign, Better Make Room, and began texting more than 100,000 students around the country to combat summer melt by nudging them with helpful information to support them on their journey to college. Reach Higher also helped amplify other administrative higher education policy priorities like moving to an early FAFSA (allowing students three extra months to fill out the Free Application for Federal Student Aid), providing better data for students trying to find a college that meets their needs through the College Scorecard, and funding a larger pool of Pell grants to offset the cost of college. With so much work left to be done at the end of the Obama administration, and with a team still eager to keep working with the higher education community, Reach Higher moved over to a nonprofit, Civic Nation, in early 2017. While at Civic Nation, we were thrilled to announce a Reach Higher Advisory Board, and have now-former First Lady Obama continue to be involved as our Reach Higher Board Chair. Our work has continued and even flourished. When we launched Reach Higher at a College Signing Day in San Antonio, Texas there were a dozen or so events like it around the country. In 2018, Reach Higher helped organize over 2,000 events in all 50 states, Washington, D.C., Puerto Rico, the U.S. Virgin Islands, and we even had a couple of events spanning four additional continents. We had more than 600,000 students participating as well as more than 1.24 billion impressions on social media for the hashtags #CollegeSigningDay and #BetterMakeRoom. Thanks to a grant from The Mellon Foundation, we have been able to expand our evidence-based text messaging program, Up Next, to reach 150,000 high school students. The program gives them the nudges they need on key college access and success behaviors, like filling out the FAFSA, applying to college, and taking the SAT/ACT. We continue to find evidence of the impact of our message and our messenger. Behavioral economist and Harvard Graduate School of Education alum Ben Castleman’s study on the “Michelle Obama Effect” demonstrated how her voice and message on education led to an increase in FAFSA completion. Professor Castleman found that a visit from First Lady Obama not only helped the group of students to whom she spoke but also had a long term and statistically significant effect on the entire school district. While we can’t bring First Lady Obama to every school in America, we can use social media tools and evidence-based text messaging nudges to translate her message to countless students around the country. In our most recent and exciting chapter, Reach Higher announced in September of 2018 that we would be joining The Common Application, a non-profit membership organization dedicated to access, equity, and integrity in the college admission process. 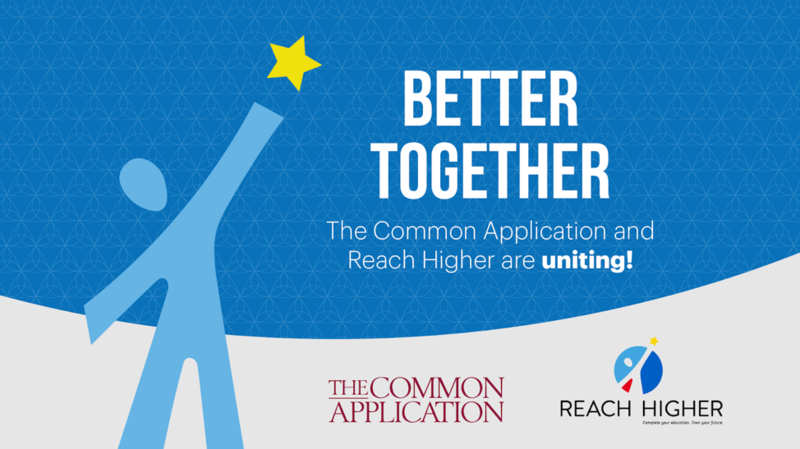 The Common App and Reach Higher share a mission of increasing access to higher education for all students. By uniting as one organization, we will accelerate progress toward our joint goals of inspiring a college-going culture, bringing joy to the admissions process, and supporting students in achieving their dreams. For many students, the dream of higher education seems out of reach. We believe our partnership can help more students understand and successfully navigate the process to apply to and earn a post-secondary degree. As 2019 begins, it is important to note that the United States is not on track to hit that 2020 goal of leading the world in college completion. That’s okay. Now we need a 2030 goal. And we’ll one day need a 2040 goal. Because education is still, and will always be, the greatest equalizer. Horace Mann, while serving as Secretary of the Massachusetts State Board of Education, said as much in 1848. And we know it to be just as true today. Countless studies on the future of work tell us that the global knowledge economy requires some post-secondary education and that all of us will have to become lifelong learners. So we have to keep reaching higher. Are you with me? 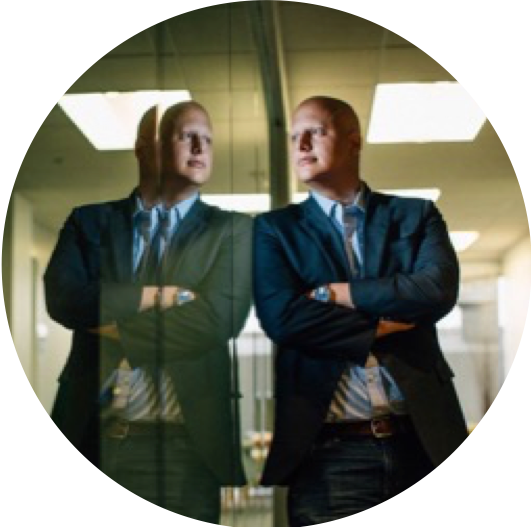 Eric Waldo is the Executive Director of Michelle Obama’s Reach Higher initiative. His role cuts across policy, advocacy, and community engagement to further the goal that the United States once again leads the world in terms of college graduates. Waldo now runs Reach Higher out of the nonprofit membership organization, The Common Application, where he continues to lead Mrs. Obama’s college access and completion work, and where he also serves as the Chief Access & Equity Officer. Part of the Perspectives on Education Policy series.